Probate investing is one of my favorite niches as everyone knows. It is also one of the most lucrative niches of all which is another reason it is one of my favorites. I think every real estate investor should learn probate investing. There are some things however that are unique to this particular niche. That's what I wanted to go over in this short video today. Getting the leads can be the most challenging part of the whole process when you set out to learn probate investing. But once you have that piece figured out, you just need a good direct mail campaign to get the ball rolling. I think folks also get hung up on what they mistakenly think is a tedious legal proceeding that they need to be involved in. “The legal stuff is for the probate attorney working on the estate to take care of”. While it is helpful to understand the legal aspects of probate investing, it's not necessary for real estate investors to be involved in the process. 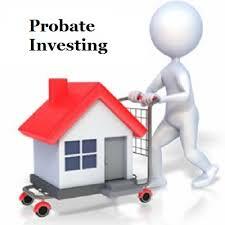 Take just a few minutes and see why you should be learn probate investing yourself. You suggest using white paper computer generated letters for probate. Have you seen this being more effective than yellow letters in red handwritten ink? Do you suggest using company logo letterhead? Thanks!! Yes. I recommend that you only use professional white letters for probates with a company letterhead. Don’t use yellow letters. They don’t look like you are a professional investor. Cool thanks. Any suggestions for letter template wording?